Live comfortably while embracing a vibrant lifestyle. We’ll take care of your to-do list, so that you can focus on more important things, like socializing with your new friends! Take a look at all that Lighthouse offers to help you live well. Dining – Savor three delicious meals a day, without setting foot in a kitchen! Our dining room is bright and cheery – perfect for fine dining and socializing. 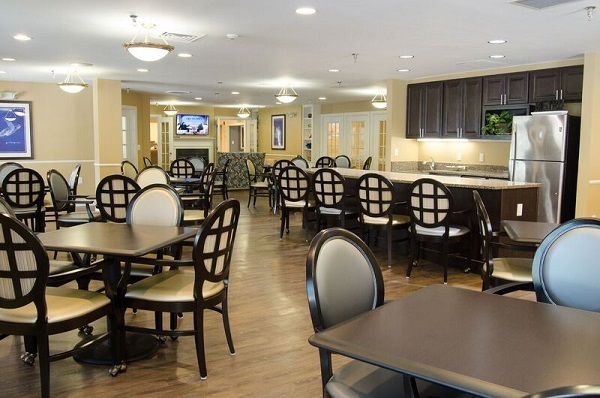 Enjoy the community bistro that offers pastries, fruit and beverages to residents and their visitors. Or host a special celebration with family in our private dining room. Activities – Make friends and join in the fun by participating in regularly planned activities, including restaurant and shopping trips, games, crafts, movie nights, group exercise, musical performances and sing-alongs. Plus, our shuttle transportation makes it easy for you to get out and about in the community. Spa & Salon – Take advantage of our in-house beauty parlor, barbershop and nail care services. At Lighthouse, it’s easy to look and feel your best! Housekeeping – No more laundry, cleaning or chores. Experience true carefree living – and more time to take advantage of all the programs and activities that Lighthouse offers!